Talking all things anamorphic with Atlas Lens Co.‘s Dan Kanes. In 1998, aspiring cinematographer, cinephile, and high schooler Dan Kanes asked himself, “What is it about movies that I love that makes them look so special and so unique?” Aside from the art direction, lighting, set design, actors and actresses, he considered that there was great artistic power in the camera lens – the tool that translates a live production into art on the screen. This spark lead to a fascination with anamorphic lenses, used to shoot his favorite films. He dreamed of getting his hands on these lenses, but as a broke high schooler he didn’t know where to begin. Resourceful and creative, he tracked down some vintage projection lenses on eBay, hacked them onto a still camera, and produced a series of cinematic, movie-inspired still portraits. Kanes eventually co-founded Atlas Lens Co. with fellow lens enthusiast Forrest Schultz almost two decades later. Their goal, in Kane’s words, is to “create affordable and accessible anamorphic lenses for the modern cinematographer.” After years working as a lighting tech, a digital imaging tech, cinematographer and entrepreneur, Kanes finally revisited his passion for anamorphic lens technology, this time with business experience and a bit of capitol. To understand this lens technology, a brief history lesson provides perspective. Kanes, also well versed in the history of the anamorphic lens, recounted the story of Henri Chrétien, a French optical engineer. Chrétien stumbled upon the idea for anamorphic lenses after he was tasked with creating a single eyepiece for a tank that allowed a user to view left, right and center at once. The resulting ultra-wide angle lens retained a normal vertical field of view – the anamorphic lens was born. After the war, Chrétien hoped to adapt the lens for use in cinema. “Unfortunately, he wasn’t terribly successful. There was no demand or interest in wide screen,” explained Kanes. In time, and as a result of the rise of home television use, theaters were looking for new ways to bring people back. They looked towards the trend of surround sound, which created an immersive, lifelike experience for theater goers. To accompany this trend, theaters turned to Henri Chrétien, and to the anamorphic lens, to create a widescreen projection which soon became synonymous with the cinema experience. Early anamorphic lenses weren’t perfect. In particular, close ups of actors and actresses appeared squished on screen. But by the mid-50s engineers from Panovision created a new optical formula, which retained the wide frame, but didn’t distort when close-focused. Dan Kanes and Forrest Schultz successfully created a new line of anamorphic lenses that borrow some of the heritage and attributes from historical anamorphic lenses but are re-engineered for a new generation of filmmakers. And, currently, they’re really the only company doing it. “I’m my best customer,” Kanes says. 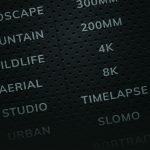 The anamorphic market has been limited – either by scarcity or expense. So, Kanes sees Atlas Lens Co. as filling this void in an era when professional camera equipment is no longer reserved for big budget productions. 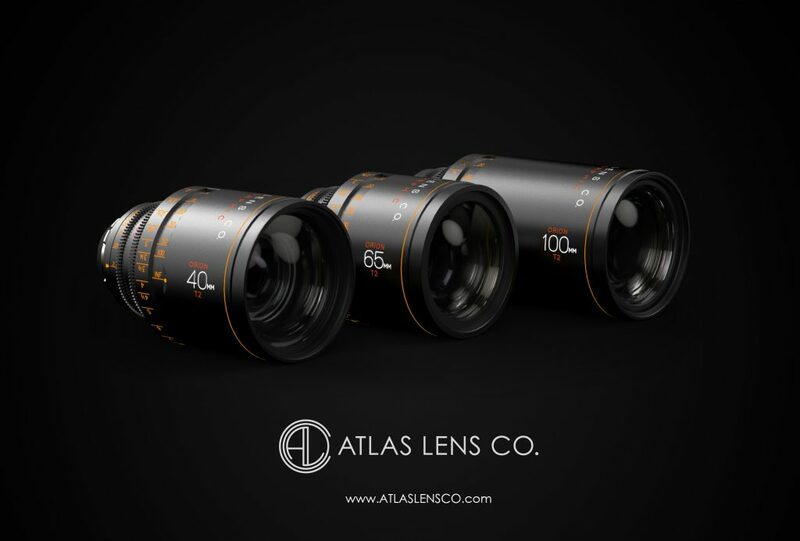 “Atlas Lenses are anamorphic lenses designed for the 21st century filmmaker. They have very low distortion, minimal focus fallout, low field curvature. Kanes explains, “Actress and actors look beautiful, products look beautiful. We chose to retain a slight vintage aesthetic, but without being overly vintage or overly stylized.” And, unlike older anamorphic lenses, they have a unique characteristics which allow for both vintage soft focus and sharp modern shots. “Shoot them wide open at a T2, they are a little bit softer than what most people consider a modern lens, but if you stop down around a T2.8 or so, they really sharpen up and are just as modern as anything else you might find out there today.” So, you’re really getting two lenses in one. And thanks to the digital age, “un-squeezing” a shot is no longer a barrier. Any post production can be done with any desktop platform.